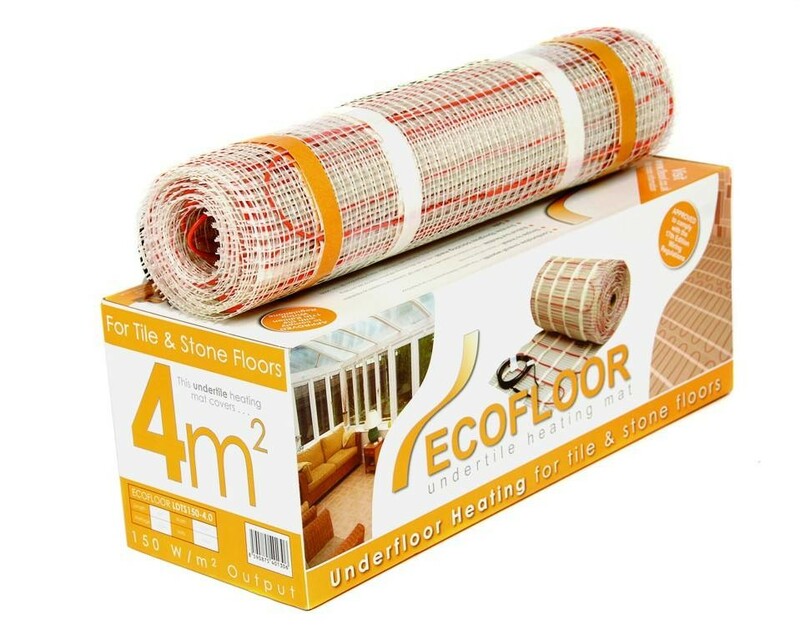 The ECOFLEX underfloor heating matting provides an underfloor heating solution for warm floor tiles in your kitchen, bathroom or conservatory. 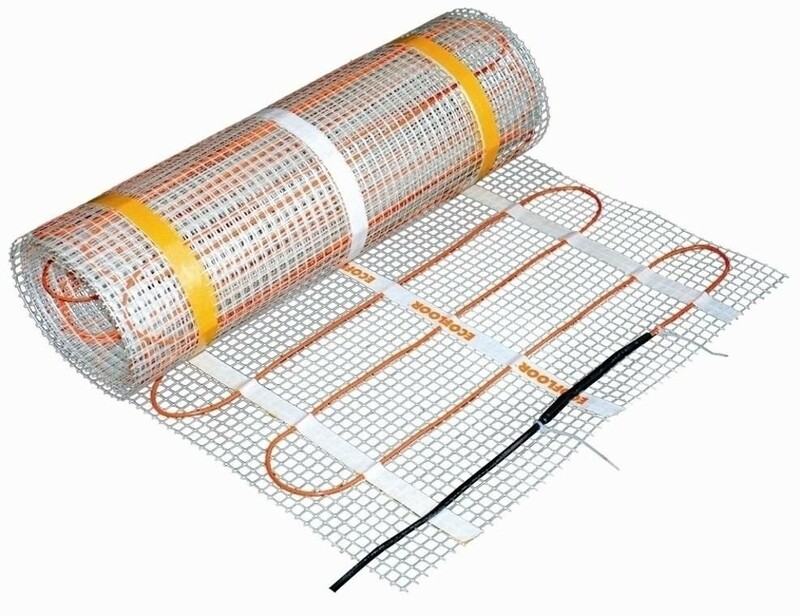 All Ecoflex underfloor heating products are guaranteed for 10 years and all thermostats are guaranteed for 3 years. This product does not include a thermostat. You will need at least one thermostat in addition to this product. Two heat outputs available. 150W/m2 and 200W/m2. Quick installation. Simply roll out the mat and fix to the floor. Low build height - minimal floor build up. Continuous metallic earth screen to ensure electrical safety. Suitable for use in wet areas. Twin conductor heating cable with single 3m "cold tail" connection lead. 150Watts/m2 mats are suitable for internal applications including kitchens and bathrooms and the 200Watts/m2 mats are available for conservatory use or for other areas where high heat loss occurs.